Prince Harry is enjoying one of the biggest perks of being a younger sibling: the more relaxed rules the eldest had to stick to the first time around. Meghan Markle made her public debut alongside her future-in-laws, the British royal family on Christmas Day when she shunned protocol by attending their traditional service at Sandringham Estate. She stood side by side with Kate Middleton, who, despite dating Prince William for 10 years before their 2011 wedding, was only allowed to spend Christmas with them when she officially married into the family. Meghan continued her tour de high fashion in a camel wrap coat by Canadian designer Sentaler, which retails for €1,000, fighting against the cold in a pair of over the knee suede boots by Stuart Weitzman for €700, a Chloe Pixie bag and a pair of diamond earrings by Maison Birks for €4,000. While she is being slowly integrated into royal life, it's clear she's sticking to one aspect of her life in which she's most confident - designers she knows. It's expected she'll begin merging British designers into her wardrobe as her public appearances increase, but for now, she's sticking to what she's familiar with. 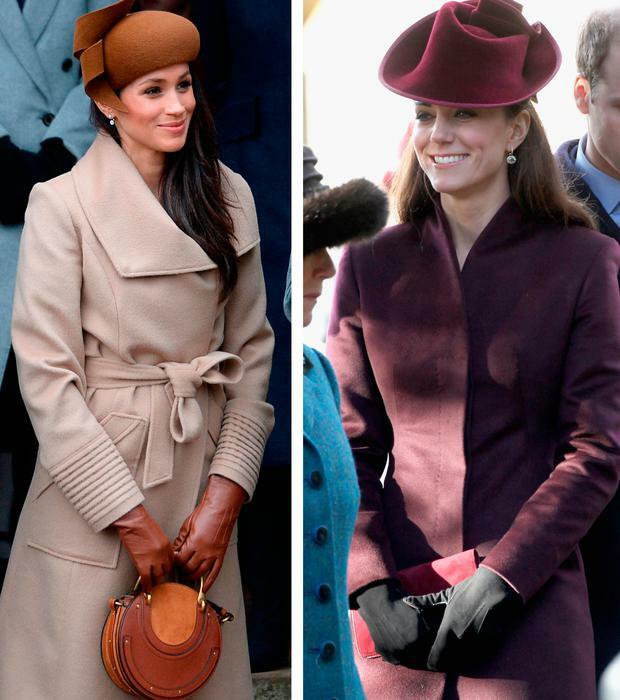 At this time, Kate's penchant for matching fashions was well established, as was her affinity for a pair of tights, so her burgundy and black combination was a safe bet. She opted for a velvet hat by Jane Corbett and black suede heels by Mascaro and a clutch Mulberry. As has become their new norm, Meghan and Harry were affectionate - the actress was never far from her fiancé's and she linked his arm as they made their way to and from St Magdalene's Church. 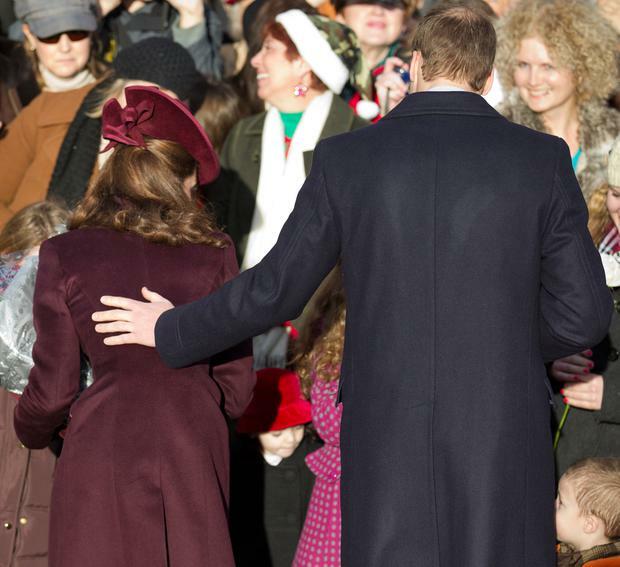 Kate and William were uncharacteristically holding hands, which is generally frowned upon, but it's believed formalities are lifted as Christmas is seen as a personal time and not one which requires their standard-standing-20-feet-apart-because-they're-at-work stance. In 2011, however, there were signs of quiet encouragement from William to his new wife, who was still only eight months into her role as the Duchess of Cambridge at the time. William and Harry arrived almost synchronised with Harry and Meghan. Six years ago, Kate may have been the big draw, but she was placed behind Prince Charles and Camilla on arrival. While hand-holding might be permitted, certain rules will never subside: namely, curtsying on meeting Queen Elizabeth arrives. Both Meghan and Kate were pictured greeting their grandmother-in-law with the expected move, while men bow their heads.